The Supreme Court, in a judgment delivered on Thursday upheld the termination of seven army personnel from their services, who were allegedly, caught spying for Pakistan in Samba in 1978. A three-judge Bench of the Apex Court consisting of Justice BS Chauhan, Justice MY Eqbal and Justice J Chelameswar upheld the termination by setting aside the 2010 Delhi High Court judgment quashing the dismissal orders against Major SP Sharma, Captain Arun Sharma, Captain JS Yadav, Captain VK Dewan, Major Kulwant Singh, Major Ajwani and Major RK Midha, in an appeal filed by the Union of Indian from the judgment of the Delhi High Court. In 1975 the presence of an espionage racket in Indian Army came to be detected for the first time and the involvement of a number of Officers in espionage activities came to be established. A number of Officers were Court Martialled and sentenced to Rigorous Imprisonment of varying terms. 13 Officers were terminated form their service under the Army Act, 1950. The Delhi High Court set aside termination Orders of the respondents by its Judgment dated 21.12.2000 holding that there was no sufficient ground to charge them as spies. 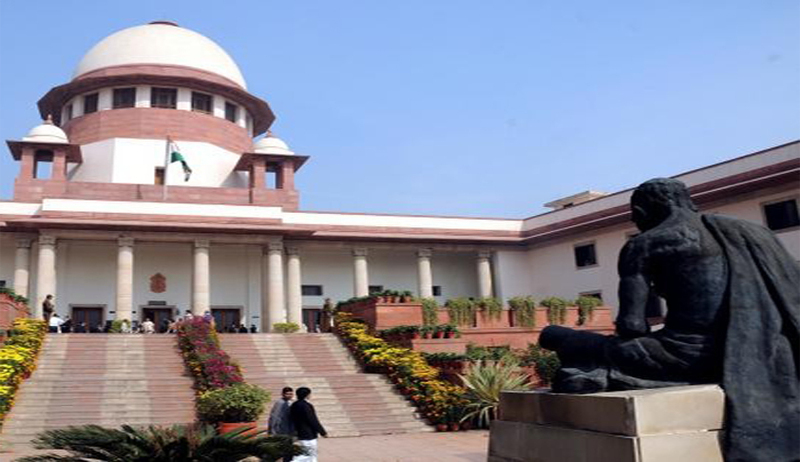 The Additional Solicitor General appeared for the Appellants submitted that the Supreme Court has consistently held that the ambit of the doctrine of pleasure, contained under Article 310, is an absolute power, save to the extent provided otherwise by an express provision of the Constitution.The power under Article 310 also encompasses the power to dismiss an employee or officer for misconduct and Article 311 is inapplicable in respect of an employee or officer of the armed forces. After hearing both sides, the Bench held that the President had rightly terminated the services of the respondents as their continuance would be a threat to the national security. Further it reprimanded the High Court for taking an erroneous view "despite the fact that there was sufficient material to prove the guilt of the accused officers for spying at the behest of Pakistan". In fact the ‘pleasure doctrine’ is a Constitutional necessity, for the reasons that the difficulty in dismissing those servants whose continuance in office is detrimental to the State would, in case necessity arises to prove some offence to the satisfaction of the court, be such as to seriously impede the working of public service” The Bench observed. “In our considered opinion as far as security is concerned, the safeguard available to civil servants under Article 311 is not available to defence personnel as judicial review is very limited. In cases where continuance of Army officers in service is not practicable for security purposes and there is loss of confidence and potential risk to the security issue then such officers can be removed under the pleasure doctrine. Bench added. It further observed that the records clearly established that the inquiry against these officers was initiated by the Army headquarters, Director of Military Intelligence and the file went from the Chief of the Army staff to the Ministry of Defence with strong recommendations to terminate their services in the interest of security of the state. "On the basis of the material available, it cannot be held that the impugned order of termination was malafide or arbitrary as alleged by the officers," the SC added. On the basis of these findings, the Apex Court set aside the judgment of the Delhi High Court.